Albert M. Tredway was postmaster of this town which attempted to become a farming community in the early 1900s. The post office was only open from 1906 through 1911. Somehow the town managed to live through the Great Depression but when the 1940 Census was taken, only ten residents were present. There were two stores in operation at that time, however Tredway started disappearing from maps after that. 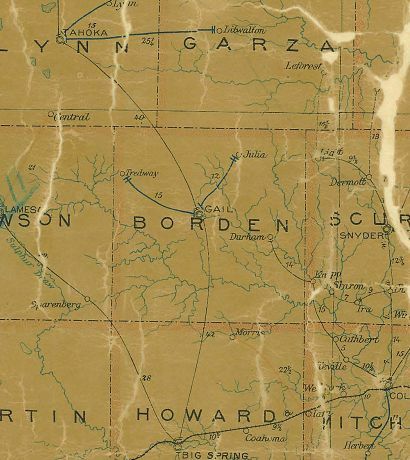 The town is included in Encyclopedia of Texas Ghost Towns by Ed Bartholomew, 1982.